Earlier this week I cooked a big pot of Black Beans, they were very good and I’ll see if I can post my Generic Bean/Peas Recipe later if I get time. However, since I always cook 2 pounds of dried beans at a time, I sometimes get tired of eating them before I get through them all. To combat that, I try to re-purpose them as I go or just freeze them in Tupperware and go back to them a few weeks later. 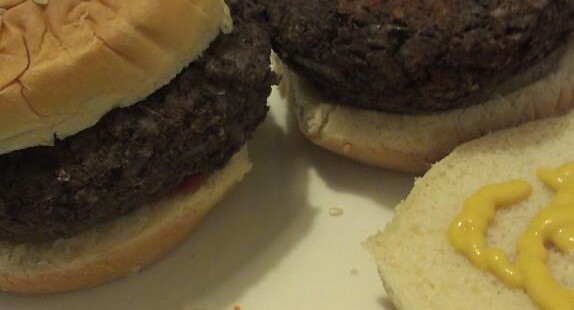 So a few days ago I did a search for: “what to do with black beans” and came across a Chow Hounds thread with all sorts of idea, the most interesting to me was the Black Bean Burgers because I had a bunch of Buns in the freezer that I needed to use. I’ll let you go there to get it because she deserves credit for a great recipe. My alterations were to leave out the egg and oil, plus I substituted some fresh picked green Tabasco Pepper from my plant on the porch instead of the Jalapeno (more heat is a good thing). Also, since I was using Black beans from a soupy mixture I didn’t drain them as directed, however in retrospect it would have been better if I had. 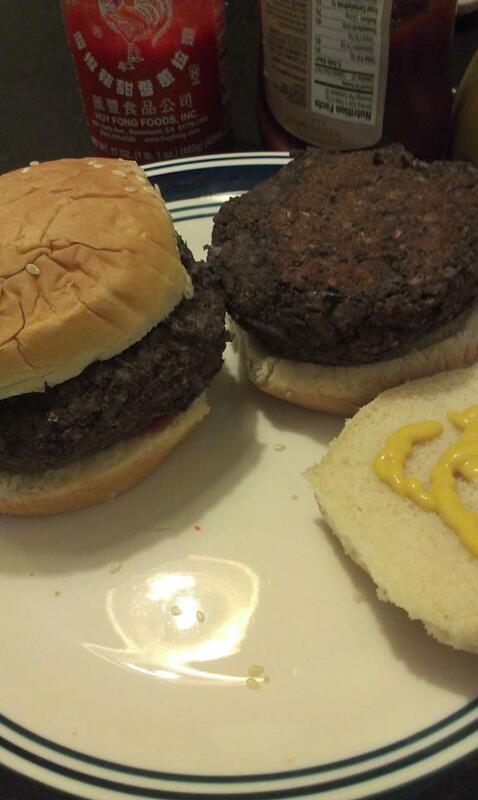 My final mistake was making 4 BIG patties instead of 6, which meant they didn’t cook all the way in time. I can’t say they taste just like real hamburgers, but I didn’t expect or want them to. However they had alot of really good flavor and the texture was good. It’s something I could see my self happily eating once a week. As for nutrition, I recommend you stick with whole wheat buns. My left over buns were from a family event. I didn’t calculate calories or anything but my guess is that each burger would be around 250-350 calories with most of that coming from the bun.